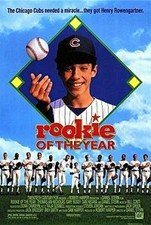 Fun-filled family baseball comedy about a 12-year-old Little Leaguer whose return to the mound after a broken arm is marked by a 100-plus m.p.h. fastball and who is recruited by the Chicago Cubs to help them in their pennant drive. Thomas Ian Nichols, Gary Busey and Daniel Stern, who also directed, star; Pedro Guerrero, Bobby Bonilla and Barry Bonds make cameos. 103 min. Widescreen (Enhanced); Soundtracks: English Dolby Digital 5.1, Dolby Digital Surround, French Dolby Digital Surround; Subtitles: English, Spanish; featurette; TV spots; theatrical trailer.